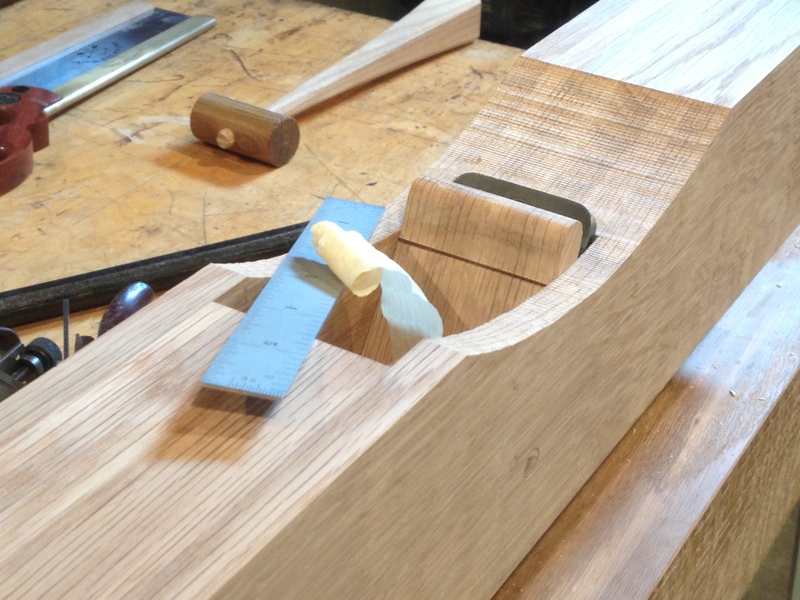 This week I finished taking an on-line course with Scott Meek on shop made hand planes. Took the first shaving today. It was pretty special to have a successful outcome on the first swipe. Obviously Scott is a great instructor. I’ll post more details later when the first shaping of the plane body gets started. This entry was posted in Hand Planes and tagged planes, wood body planes, woodworking classes. Bookmark the permalink. What a teaser, one picture. Very cruel Al. That’s some pretty oak and steel.